Ok, September was fantastic, what a night. But can it be topped? YES! October is seriously going to be unbelievable…this may be THE Balkan show of the year. Why? Because not only is the headliner Fanfare Zambaleta, the 11-piece brass band that has rocked the Bacchanal time and again, not only is it the debut of Roma band Kala, but we are super excited to announce that Seattle’s Dromeno will be opening the show! Read on…. We’re honored to have the legendary DRÓMENO kicking off the night…dancers get ready!!! Dromeno is a unique folk group presenting regional music from all over Greece and the Balkans. 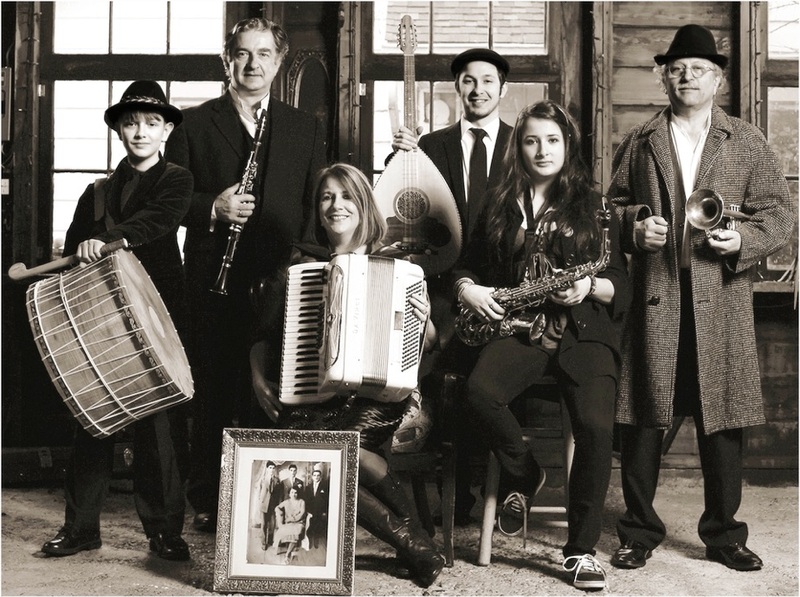 Led by Christos Govetas and Ruth Hunter, long-time players in the Balkan music scene, the group includes both of their kids (Eleni and Bobby Govetas), as well as Nikos Maroussis and Peter Lippman. Dromeno presents authentic music that pulls from deep roots from Greece and all across the Balkans. Between them, these versatile members create the brass sounds of Macedonia, sonorous clarinet and vocal interplay from Ipiros and Thessaly, strident zournas and daouli from Serres, and energetic Thracian dance tunes. Come get your dance on! We’re beyond excited to welcome Kala to the Bacchanal for the first time! 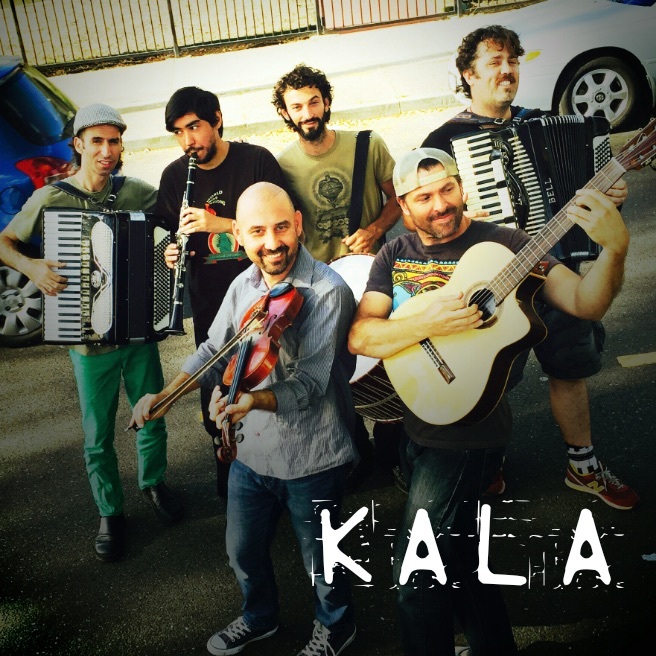 Kala is a Bay Area based Romani Balkan band featuring strings, accordions, clarinet and percussion. Led by Roma musician Dusan Ristic, and in collaboration with some of your favorite local musicians, Kala performs traditional Roma songs from the Balkan region. Ristic was raised in a Roma neighborhood in Valjevo, Serbia and comes from a family of Roma musicians. He has found a new home in the Bay Area and brings an authentic traditional flavor to the vibrant Balkan scene. Come enjoy the songs and sounds of Kala! Fanfare Zambaleta never fails to rock the house! 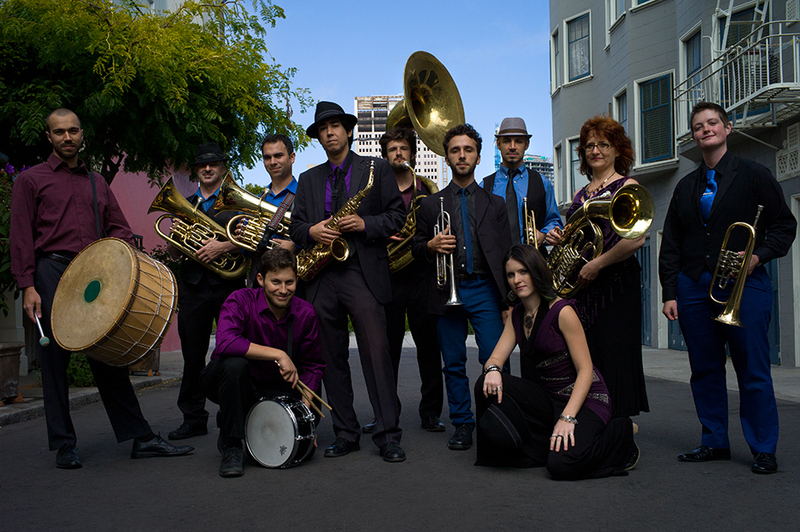 The band was incubated in the Zambaleta Music and Dance School in San Francisco and has since hit the streets as a full-fledged 11 piece juggernaut of a band playing exciting Romani, Serbian, Macedonian, and Greek Brass music with passion and dedication and featuring some of the Bay Area’s most exciting young players and seasoned veterans.